More than 3,000 people have gathered to create the world’s largest human recycling logo. The symbol measured 64 ft by 69 ft – that’s almost the same size as two tennis courts – with a total of 3,373 participants. 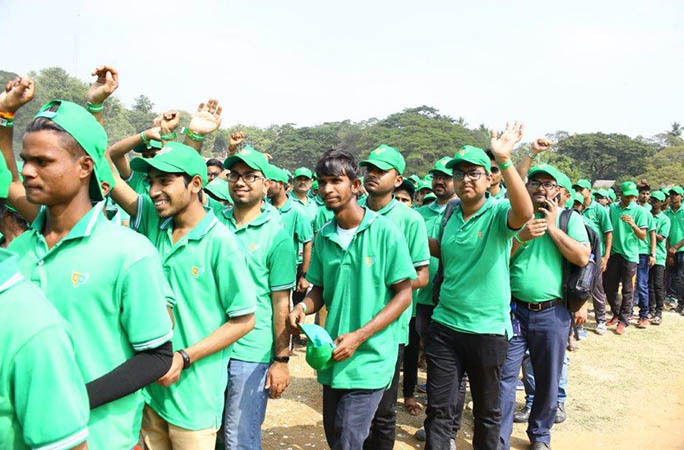 Central Institute of Plastics Engineering & Technology (CIPET), based in India, decided to host the event in Chennai to raise awareness about the importance of biodegradable plastics and reusing plastics in general. “We wanted to create plastic recycle awareness,” explained Neelagandan G, a representative of CIPET. The event was also used to commemorate CIPET’s 50th anniversary. Established in 1968, CIPET is an education and research institute in Chennai specialising in polymer science and technology. Participants were from all of CIPET’s branches. All the participants dressed in green, including green baseball caps so a block colour is displayed when looking down from above. The white empty layout was drawn on the ground before the attempt, and the participants filed in to fill the outlines and form the symbol. The previous record was held by The New Indian Express and the B.S Abdur Rahman Crescent Institute of Science and Technology. They had around half the amount of participants, with 1,726 participants, and held the record for less than a year. 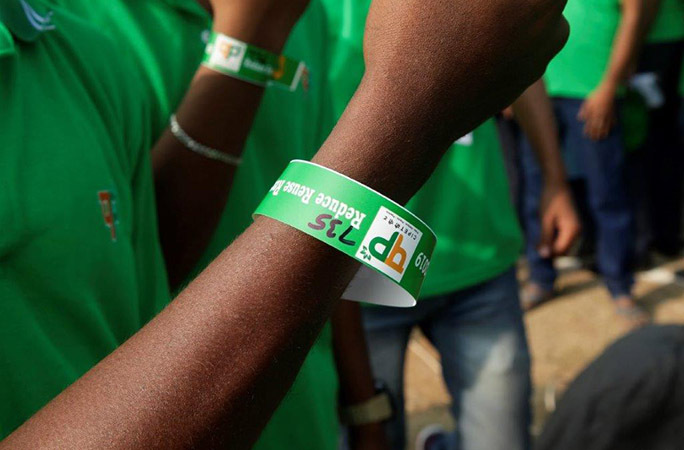 They too used the attempt to promote the importance of recycling, and the attempt also took place in Chennai, India. Want to see more records which raise awareness of plastic pollution? Take a look at this sculpture made from thousands of waste straws.